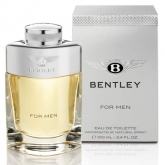 Bentley Motors Limited is a British luxury automaker, and a wholly owned subsidiary of the German company Volkswagen AG. 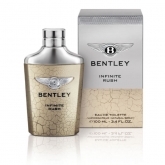 Its principal activity is the design, engineering, manufacture, and distribution of luxury automobiles sold under the Bentley marque. 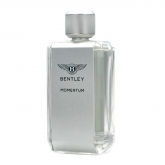 Based in Crewe, England, Bentley Motors Limited was founded by W. O. Bentley on 18 January 1919 in Cricklewood near London and was acquired by Rolls-Royce in 1931. Only absolutely top brands play a role in today's luxury goods' world. There is a small elite club of brands that hold sway with their unique approach to life and the outstanding quality of their products. 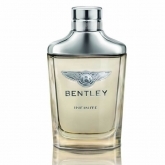 A major name in this exclusive circle is the British brand icon Bentley Motors - indisputably the best in its class for decades. 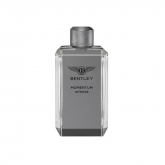 In 2013, Bentley Fragrances is presenting its first premium fragrance: Bentley For Men - a fragrance that meets the very highest requirements. 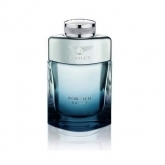 The use of fine materials such as chrome and solid glass for the masculine bottle and leather and wood for the fragrance composition will ensure the authenticity and timeless elegance.